These celeb moms refuse to accept public breastfeeding as a taboo, and their public stands have been epic. Of all the things that cause controversy in the world, breastfeeding is by far the strangest topic on the list. We're a peculiar bunch us humans – we're okay with the fact that millions go hungry every day but a mother feeding her infant in the most natural way she possibly could stirs up inexplicable feelings of outrage. Mothers are shamed for what they are expected to do, fulfilling the most basic human need there is. 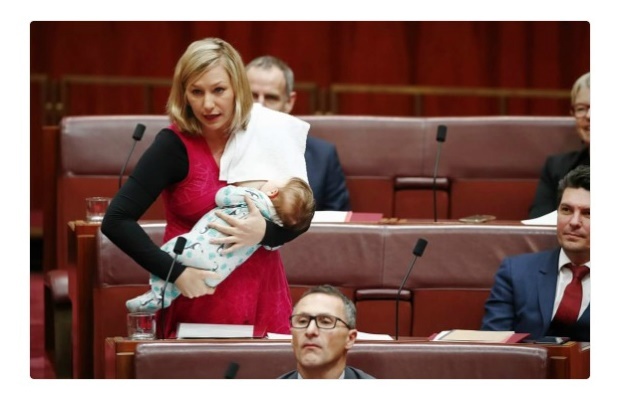 Forced to feed their babies in confined (and sometimes unhygienic) spaces, breastfeeding mothers who stand up against the status quo face ridicule, criticism and even assault. A few famous moms have had enough of the lunacy, and their public stands have been epic. Have you been trolled about breastfeeding in public? Tell us your story by emailing to chatback@parent24.com and we could publish your letter. Do let us know if you'd like to stay anonymous. Here are the top 10 unforgettable times breastfeeding moms stuck it to the breastfeeding haters, normalising miracles in one foul swoop. Just another occupational hazard of being a mom.